Had written this post 2 years ago for Swarnali as a part of her guest post series. Thought of sharing this with you guys! "Ilove you , but you don't"
"WhenI can give you time despite my busy schedule, why can't you?" Howoften do you come across such statements from your loved ones? It isdisheartening to hear such disturbing lines from our loved ones especially whenwe strive hard to make them feel special. Due to our daily activities we couldnot spend quality time with them. Trust me for a good lover such words fromloved ones are not soothing. Love is a special feeling. It is unique andomnipresent just that we see it with closed eyes. Imagine the first time whenyou fall in love with someone, you would experience butterflies fluttering inyour stomach and birds dancing around your head. Of course that doesn't happens,your behavior and attitude changes. Thanks to the hormones which play a vitalrole in such activities. Trust me, when you are determined to fall in love withsomeone, you should be ready to invest some time for them. I was trampingaround a garden near my house admiring the Mother Nature’s beauty. I keenlyobserved certain group of people. They were usually couples of early 20's.There was one particular couple who were arguing with each other. Initially itseemed that the negotiations would be verbally resolved but the arguments grewto a next level. The girl was crying and the guy disagreed to her point. Heslapped her in front of small ensemble of people. Everyone looked at her. Shewiped her tears and silently left with him. Never be aggressive in love. Allthat you need is to spend some quality time with your loved ones. If you cannever donate valuable time for your loved one then why fall in love at firstplace. At the first step, we try our level best to impress our lover. That’sthe time we should realize and think about how much time and energy we aregoing to invest to this relationship. Try to revert back equally when it comesto love. We should give an equal amount of love back. Problems are parts andparcel of relationship. Love is like a game where each team tries to give theirequal best. It shouldn't be a one sided affair. Introspectand tell me how it feels to be in love. When you are committed to someone, befocused on small things which would make them happy. Take them for a movie,dinner, a walk along a beach and do things which would make them happy and instilsmile in their face. Not everyone is lucky enough to fall in love. Be happythat you are amongst those lucky ones to be loved by someone. If you have wonsomeone's heart then be loyal to them and live up to their expectation.Spending some time with them will not destroy your business or profit for thatmatter. Make them feel special. Compliment and Appreciate each other. Will youstill be the same if your lover is not around you? You will certainly miss thema lot and desperately wait for their arrival. No one would unnecessarily harborspecial feelings for you. They like some qualities of you and certain things inyou impressed them thus making them fall for you. First try to know if you arewith the right person whom you are destined to be. In this materialistic moneyminded world, it might be certain that your partner might be using you as amere trump card exhibiting fake feelings. A true lover's feeling would be authenticand real. Try to identify how much your partner loves you. Performthis test if you want to know whether your partner really loves you. Ask yourpartner out for a date. Buy a fresh red rose and a diamond ring for your lovedone. If you are poor then borrow it from some friend :P. Give them both, roseon the left hand and ring on the other. 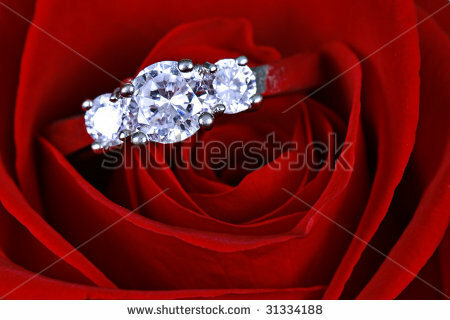 However precious a diamond ring may be,a true lover would definitely pick the red rose and then take the ring. Thiswould be your true love. It’s difficult to find genuine love in today’sscenario as I have already told that in this materialistic world people seldomcare for each other. The one who passes this test would be the perfect personfor you. Theremight be indifferences and arguments, but never let your love fade away fromyour life. Do not dabble in love and exhibit fake feelings for your partner. Ifyou do, then be prepared to see your love vanishing away from your life. Youwill feel jinxed and cry at your own plight. Sit and talk. 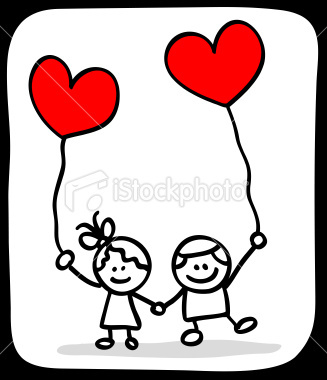 Love is sensitiveand one should never play with or even try to play with someone’s feeling. Talkwith them and try to resolve the conflicts. A true love lives forever. Behonest, share views and talk amiably with each other. This might help you. Carefor the one who loves and make them feel special. Never argue and avoid fights.This is not good in long term. Never goof up things if your feeling for yourpartner is true. In the back of your mind, somewhere deep in your heart therelies a small area where your heart beats for your lover. Too cheesy! After allit is great to love & be loved. but i do not agree to the ring test part, it is NOT always necessary, besides one should not judge love on such things. thts my belief! Nice Post! but i do agree with sarahmalik! There is no doubt that rings are the best way to show the affection and love to your dear ones. It is the symbol of love which connects two people via heart. If you are committed to someone then diamond rings are the best gift that you can give your loved one.